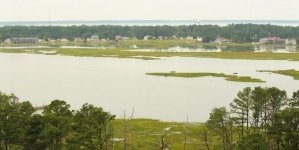 Travel down Route 113 far enough, and you’ll find yourself on the Eastern Shore of Virginia. 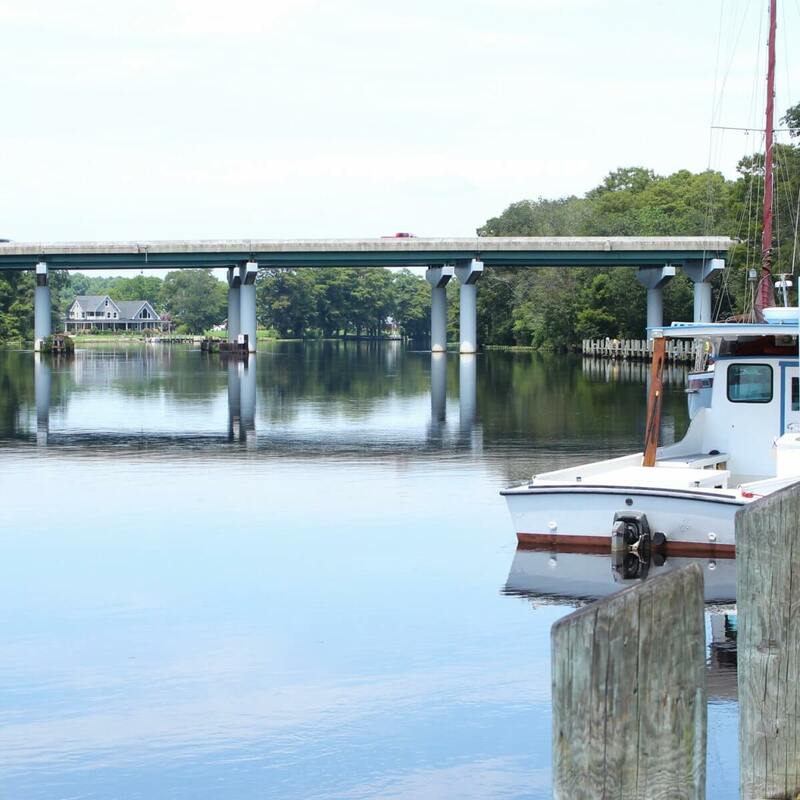 But don’t cross that state line right away–first, make sure you stop to experience all the beauty and charm that is Pocomoke City, Maryland. 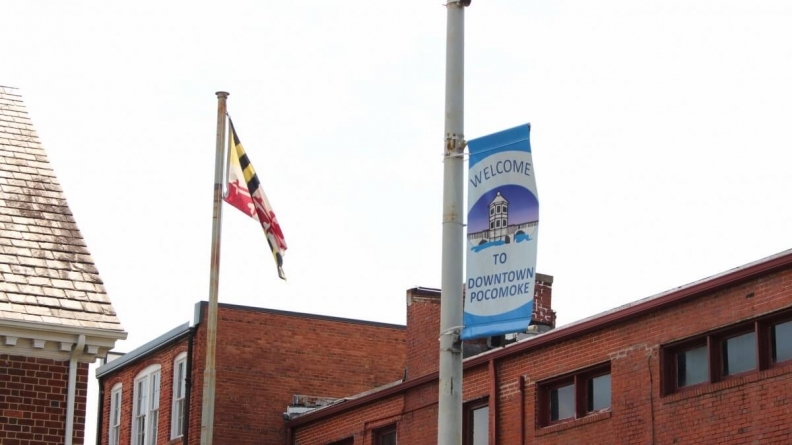 It’s possible you’ve only ever heard the town referred to as “Pocomoke,” because that’s what most locals call it. Technically it is Pocomoke City, after the name changed from one to the other in 1878, but call it what you want, it’s a pretty cool place. Pocomoke’s nickname is “The Friendliest Town on the Eastern Shore,” and I can verify that their slogan is quite possibly the truth. I only spoke to a small handful of locals while I was there, but they were all perfectly nice and helpful and pointed me in the right direction when it came to checking out all the important landmarks and scenic spots in town. 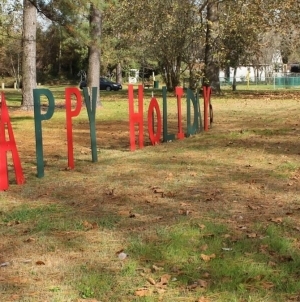 What can I say, I’m really into historic buildings and old-school, small-town charm, of which there’s plenty on Delmarva. If you look forward to visiting Berlin every summer, then you’ll definitely be taken with Pocomoke, too. 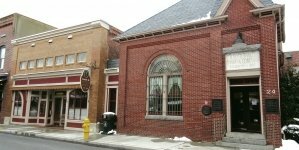 Here’s the outside of the Mar-Va Theater, a historic performing arts center that you’ll pass as you walk along Market Street. The theater, built in 1927, was once known for Vaudeville entertainment and for hosting a number of well-known cowboy singers including Roy Rogers and Smiley Burnett. 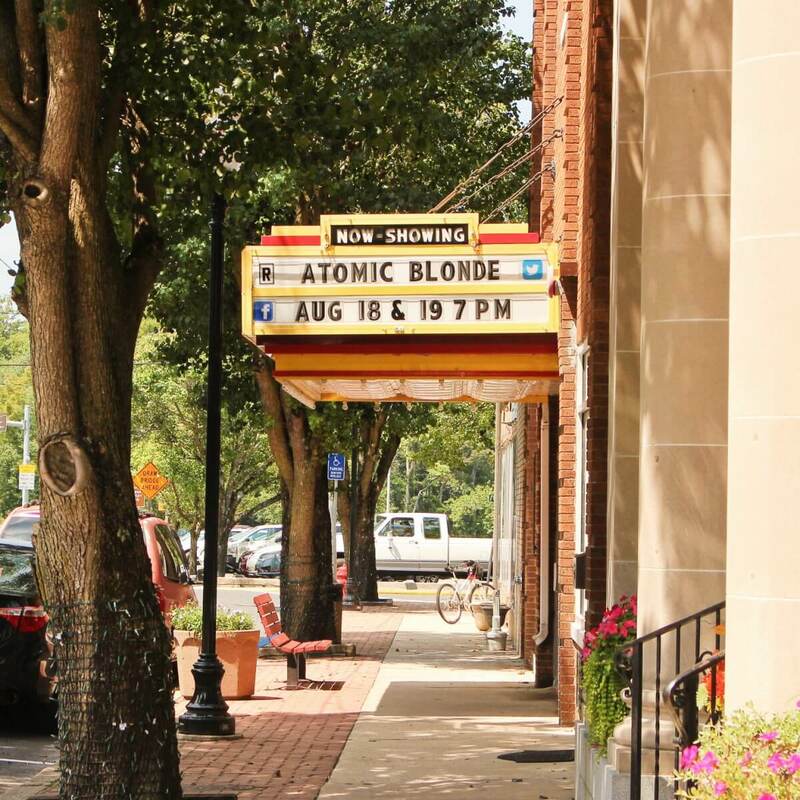 Today, you can catch a movie or a live theater performance at restored theater (where movies are only $5 and Rocky Horror Picture Show is screened every Halloween!). 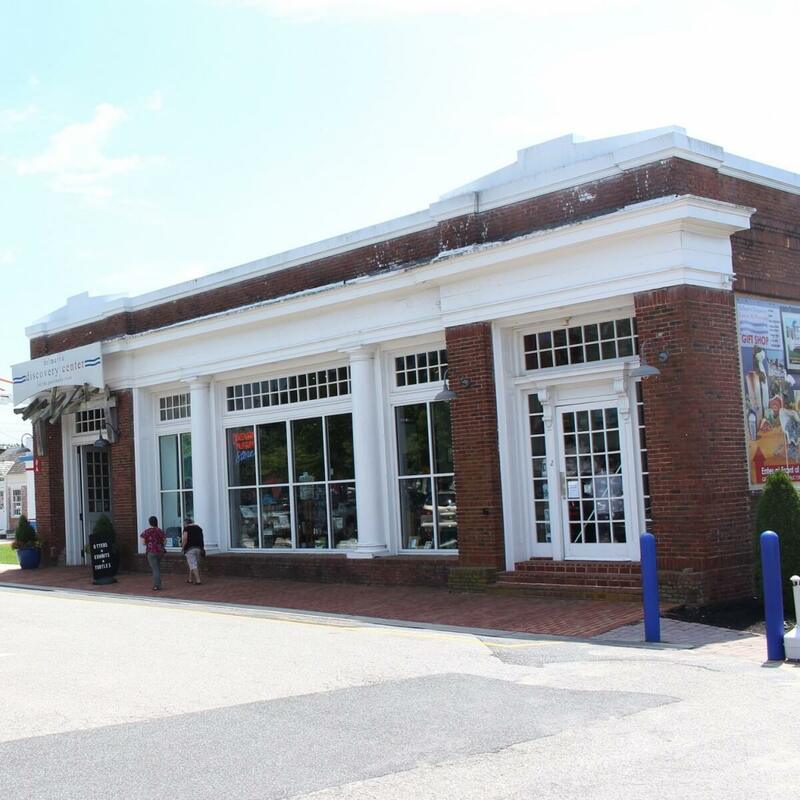 The Vault is another beautiful old building on Pocomoke’s Market Street. 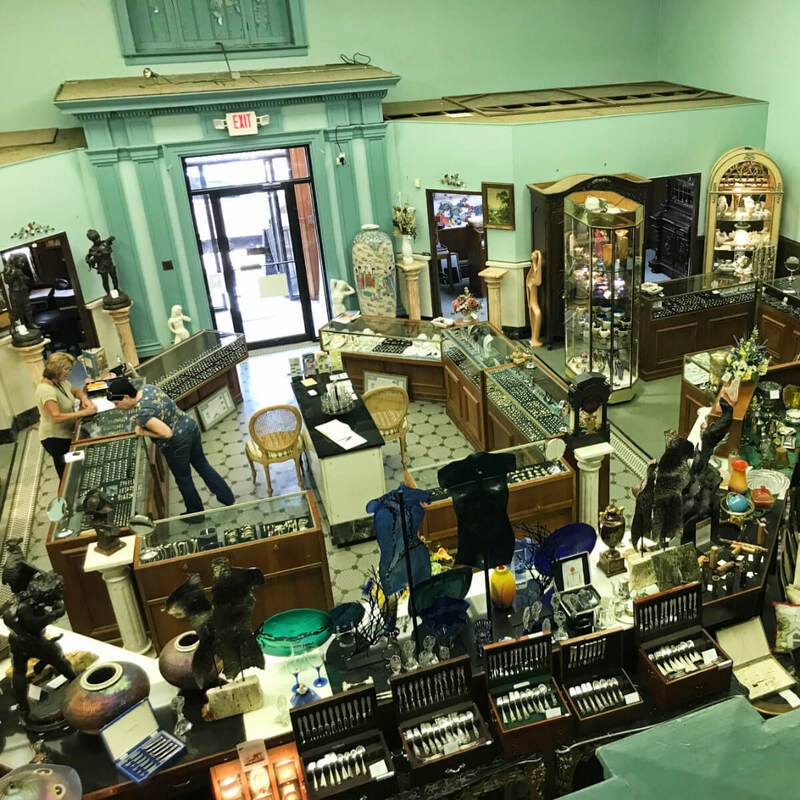 The bank-building-turned-antique-store sells jewelry, chandeliers, art and even 18th and 19th century European furniture. You can buy a decorative heirloom for your home or just peruse the atmospheric, two-story shop (the bottom floor photographed here as I peered out of the second-story balcony). You can also buy a fur hat at the Vault. 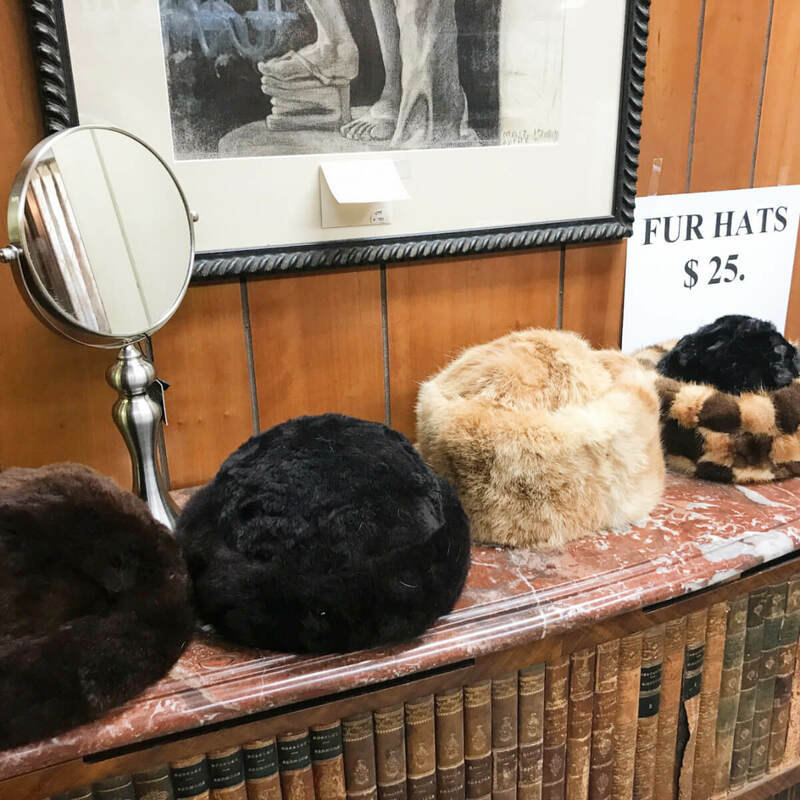 This photo wasn’t really necessary in the tour-through-photos of Pocomoke City, but where else can you get a fur hat these days? $25 sounds like a good deal (although I wouldn’t really know). 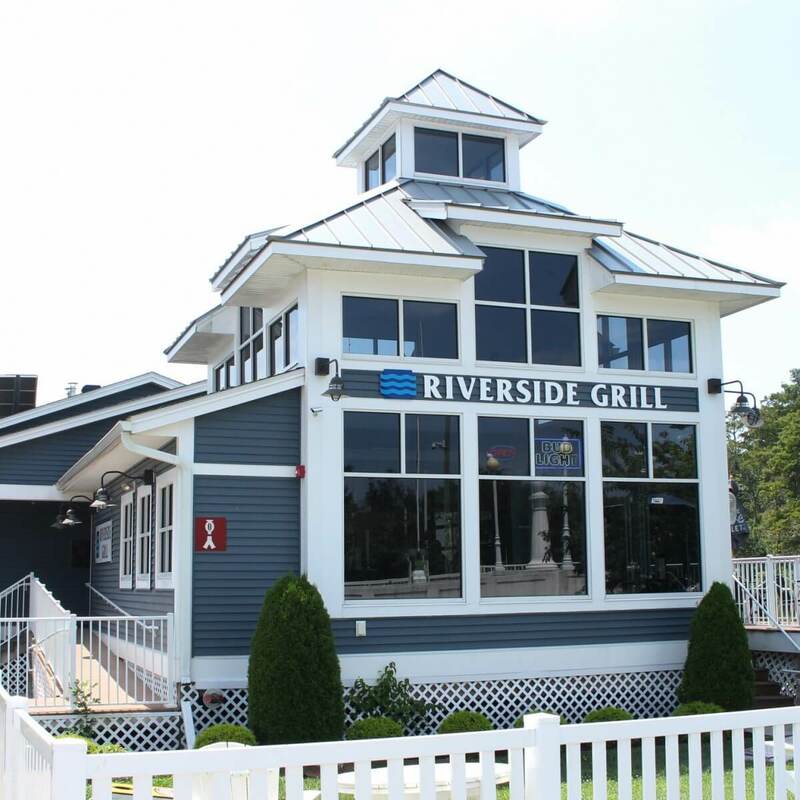 The Riverside Grill is the place to eat on your first trip to Pocomoke, for its location on the river, delicious seafood and full bar. I didn’t eat there on this trip–I found a delicious-yet-inexpensive Chinese restaurant on Market Street called Golden Garden, which I also totally recommend–but the Riverside Grill should be a mandatory stop for first-timers. 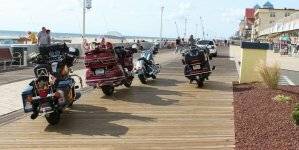 Next to Riverside Grill is the Delmarva Discovery Center, an incredible museum for any person of any age interested in history and local culture and heritage. 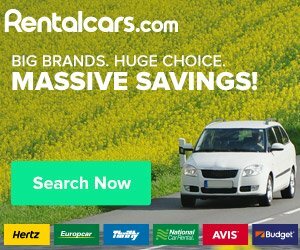 Plus, there are plenty of animals, real and fake–so even if you already know everything about the region, at least go for the turtle and otter exhibits. One of those fake animals is this towering black bear. Who knew that bears used to inhabit the Delmarva peninsula?! 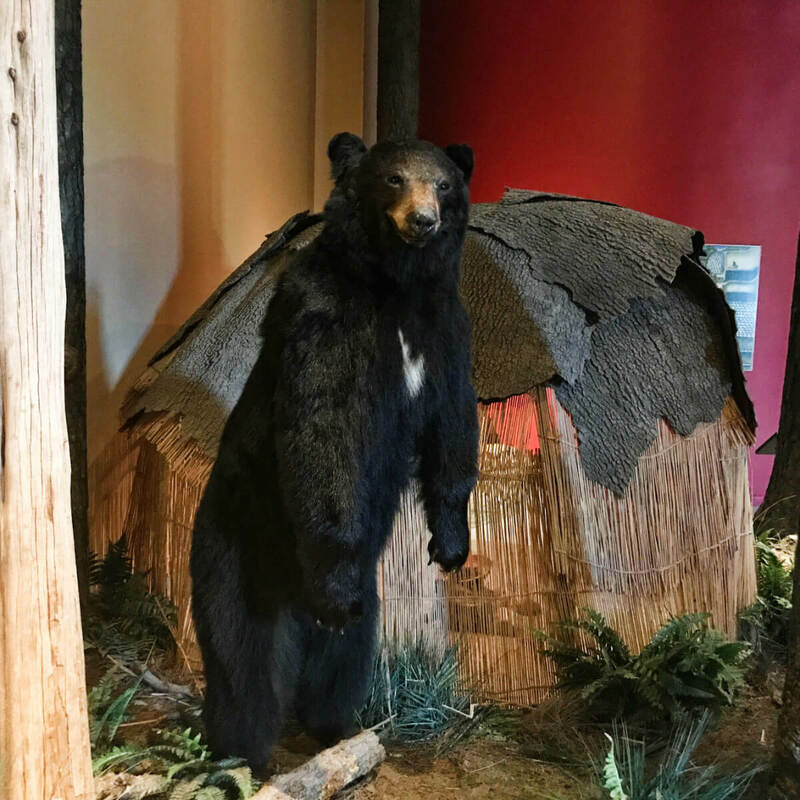 The species lived in harmony with Native American tribes several centuries ago, but once European settlers laid claim to the land, the bears were driven out or killed due to the settlers’ fear and ignorance. Among many other exhibits displaying the region’s natural environment and native creatures, the otter exhibit is a popular one. In this photo, you can see the face of a sleeping otter on the left and the tail of another sleeping otter to the right. 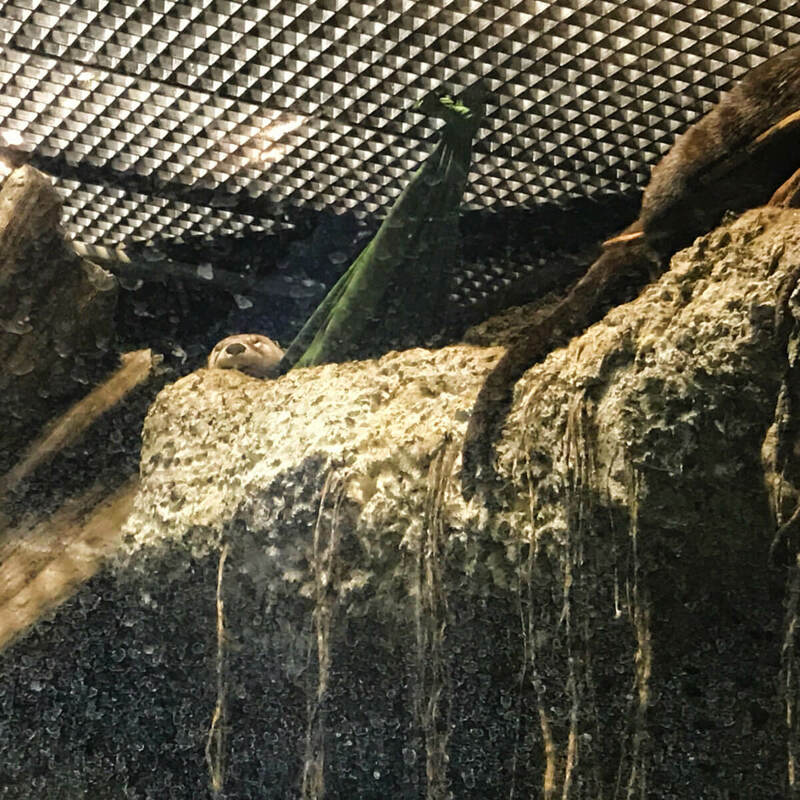 Their names are Tuck and Mac, and while they were brought from a crayfish pond in Louisiana (where they had been deemed nuisance animals), river otters live in rivers and lakes throughout Delmarva. 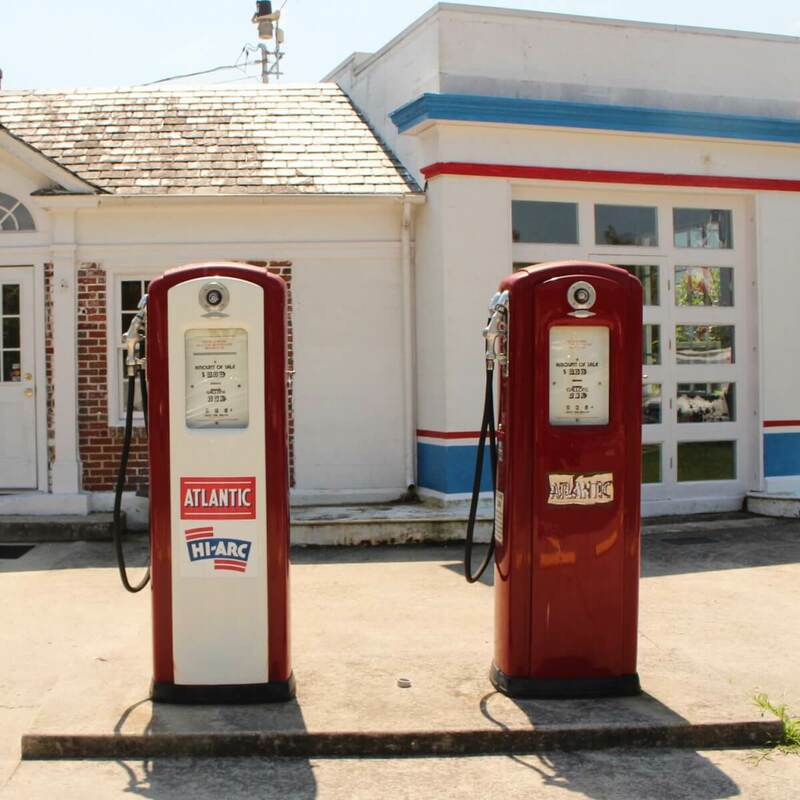 Just outside of the Delmarva Discovery Center are these two vintage gas pumps, and in the background you can see the old Atlantic station, built in 1922. Today, the former gas station is used for science education programs. Two important structures in Pocomoke that we didn’t photograph, due to an expansive construction scene in front of them on that particular day, are the Sturgis One Room School House and the Heritage House next door. The segregated School House for African American students served the community from 1900 – 1937, and operates today as a museum that displays the local, segregated education system of the early 20th century. 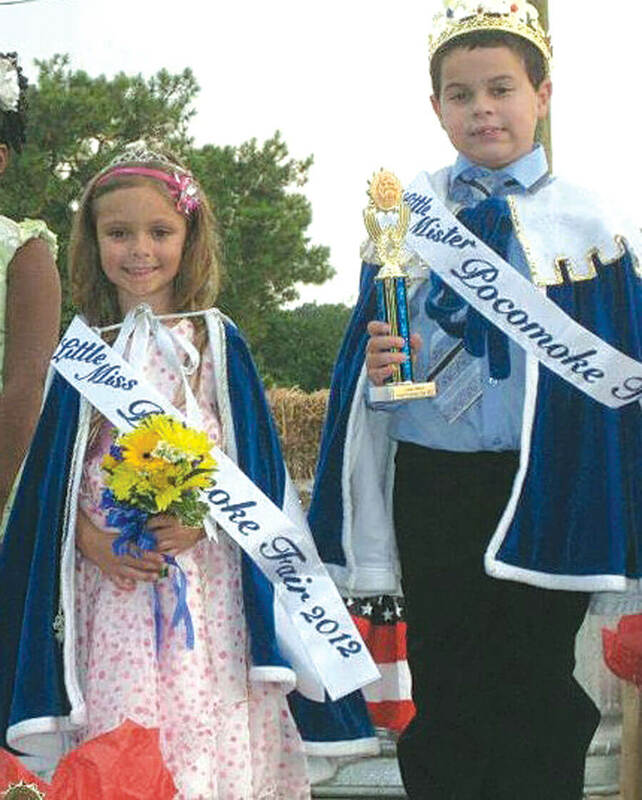 Great Pocomoke Fair this wknd. Sunfest Is Finally Here! Share your photos of Sunfest past!